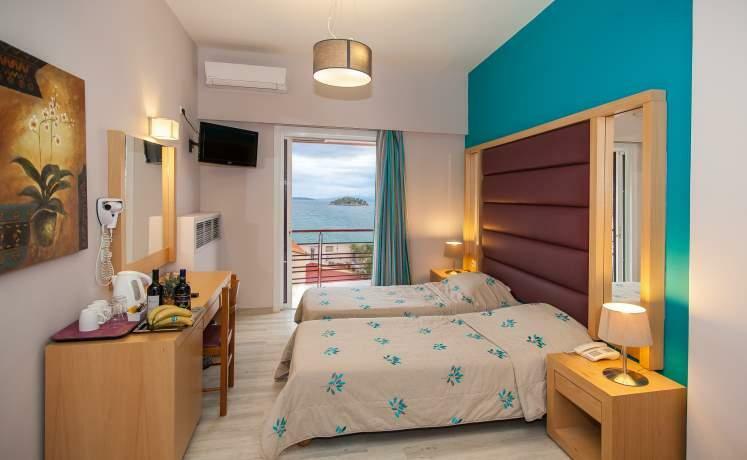 Built just 15 m away from the sunny beach and the sparkling sea is this Tolo hotel, a must for those who wish to experience the glorious Mediterranean summer sun. Centrally situated in the heart of Tolo, this hotel aims to offer a luxurious atmosphere, just 1 km from the port. All rooms are well-furnished and have been recently renovated with modern comforts. For your convenience, the hotel also features a lift. There is a bar and a dining room on-site, with a glass roof where you can dine or have breakfast in a warm atmosphere. Cruises to the beautiful islands nearby are available and the hotel is an ideal base for daily excursions. The beach is ideal for water sports and with various clubs, bars and taverns nearby, the surrounding nightlife is great!